While we were heading to Albuquerque, I received a phone call from a friend who was volunteering at Sun ‘N Fun. 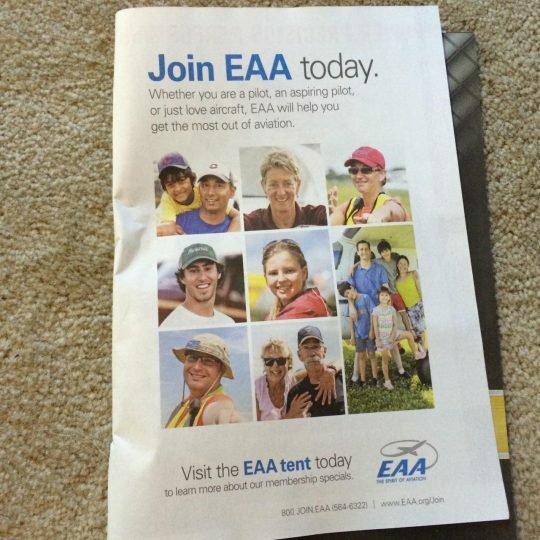 She told me that she spotted Storm and I in an EAA ad at the back of the Sun ‘N Fun program. Wow – looks like we finally made it as big time models, haha! Here is a copy of the ad – can you spot us?